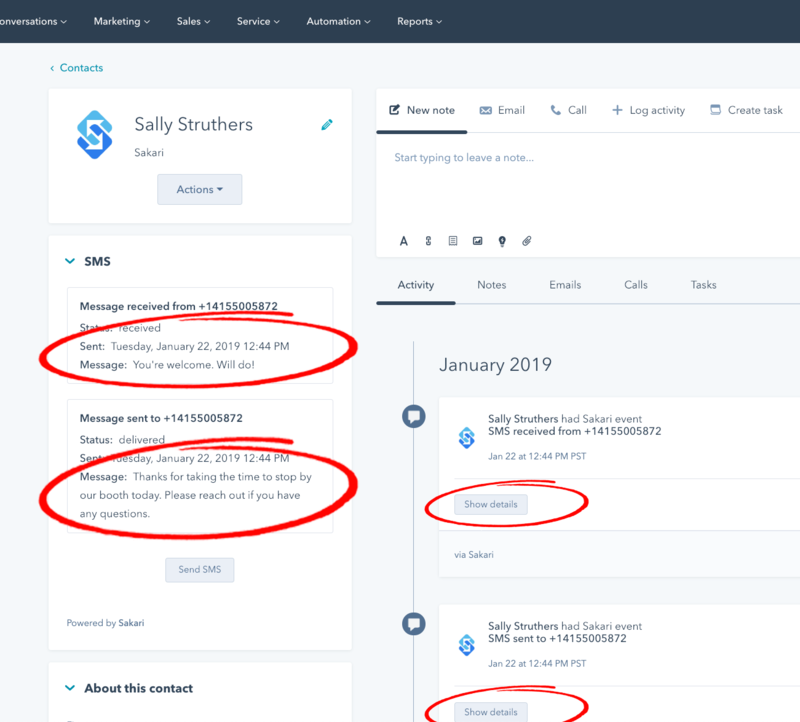 With direct integration in HubSpot, you can send a receive text messages in any HubSpot record. 3. 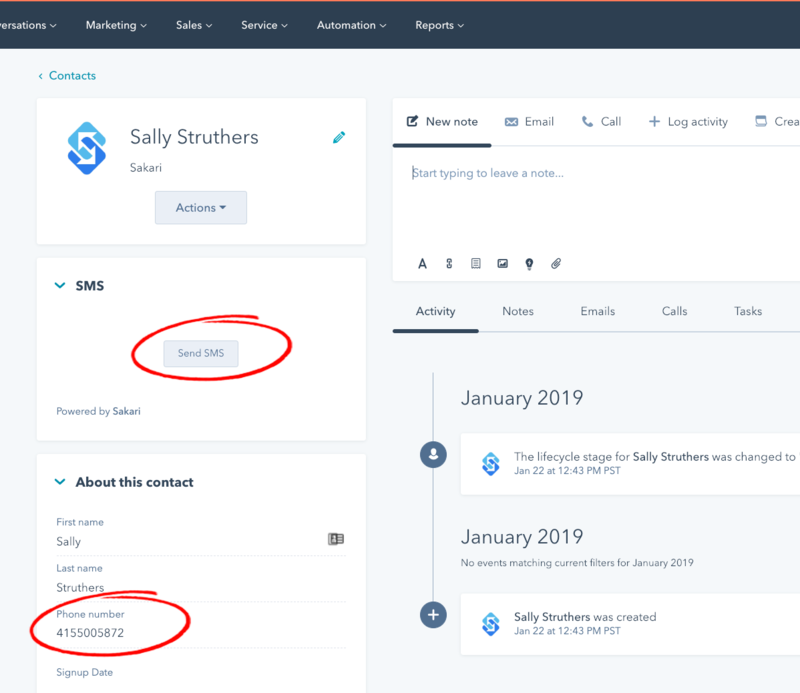 Select any contact record. Ensure that the "Phone Number" field is populated. 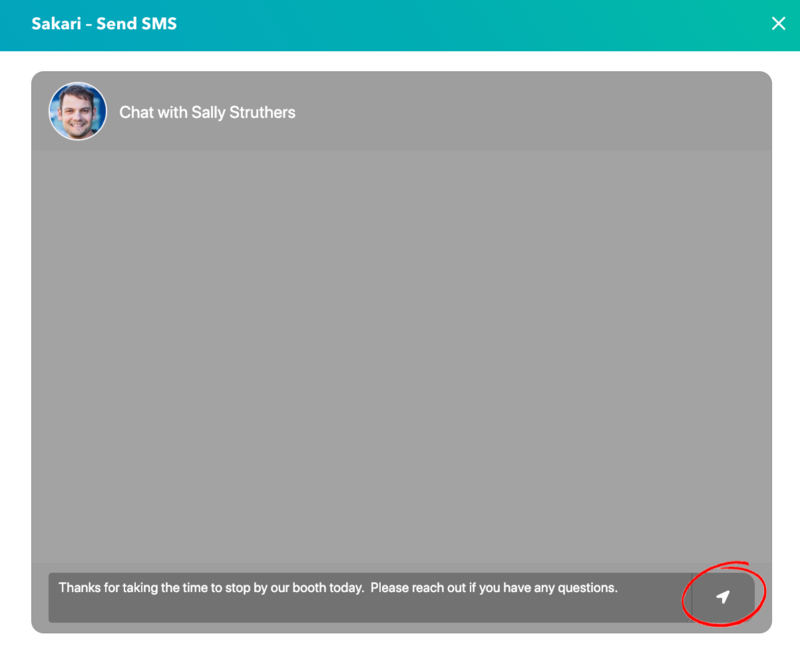 When this field exists for a contact, the "Send SMS" button will appear. 4. Click the "Send SMS" chat button to open the chat interface window. Type your message and click the white arrow "Send" button. 5. The message will be sent and appear on your contacts timeline. If they respond, you'll also see that on the contacts timeline as well.